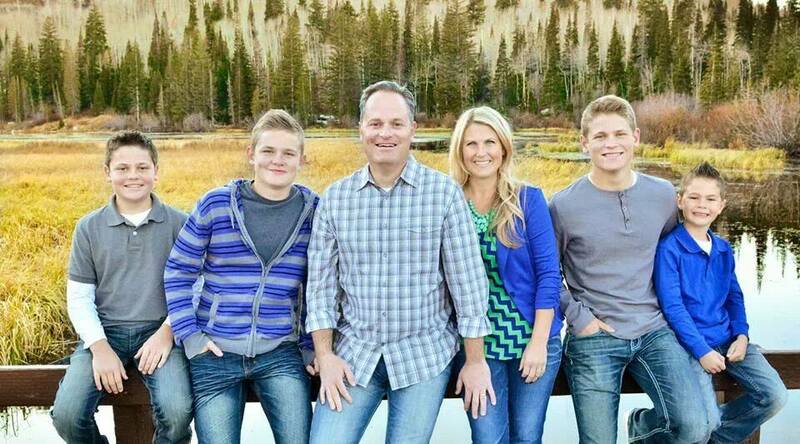 My name is Mike Day – my wife Sonia and I have four sons and live in Herriman, Utah. I have been a serious student of the scriptures and have had various teaching opportunities for many years. I enjoy gaining new insights into the scriptures and how the teachings of ancient and modern prophets apply in the lives of students of all ages. The views expressed on this website are my views and opinions as I have taught over the years and do not necessarily reflect the views of The Church of Jesus Christ of Latter-day Saints. Thanks Michael. I appreciate your faith. All will be well- the surgery was a success and I am recovering. Bless you! I really have enjoyed your Old Testament lesson commentary or insights. I hope you keep sharing the,. Thanks I will keep working on this. Thanks for reading! I was recently approached by an old acquaintance of mine who is now on his missions. He’s part of a new, experimental group that’s trying to do something really awesome. They’ve created a new website– reallifeanswers.org — that is created to help people find answers to questions that they have about anything really! I was asked by him to help spread the word about this awesome new site to as many seminary students as I could, so of course, I thought of you! I would really really appreciate if you could check out this site, and if you think it’s a great resource like I do, encourage your students to share it with as many people as they can. Right now, their goal is to get the site shared on social media (Twitter, facebook, instagram, pintrest, etc) so that non-members can use it as a resource too! This could be a great missionary experience for your students, and I strongly encourage you to share it with them if at all possible. Thanks I will look at this! Hi Mike! I am the composer of the new musical Old Testament records. In Q3 and Q4 of 2014 we are releasing individual songs from the show. Because music can often cement the lessons we learn in class, I’d like to invite you to include a link to this resource somewhere on your site, either as a general resource or linking the songs to individual sections. Songs released so far this year include 3 pertaining to Elijah, a song by Job, one by Samson (this post included a link back to your Samson lesson) and a song sung by David as he faces Goliath. More to come! The website is http://www.wandasieber.com. Thanks for your consideration! Brother Day I love the sepia drawning you have of Moroni. I would love to hang it in our home of 4 boys. Can you help get my hands on it? Thanks you!!! I do not know where you can find it. But it is awesome. Brother Day, I don’t know if you’d remember me, but I was in your seminary class at Oquirrh three years ago. Today as I was reading in the New Testament, I came across one of your many glue-ins. I began to look through my scriptures to find them all, and it made me realize how much of my testimony was planted in that class and the love for the Old Testament that it gave me. I’m sure you get notes like this all the time, but I just wanted you to know that I am so thankful for the hard work you put in to make a meaningful lessons that I can still remember to this day. I’m preparing to go on a mission this fall, and I’m so grateful for the knowledge and love for the scriptures you instilled that I’ll be able to take with me. Thank you for your dedicated service to many more students and I hope you realize that you are changing lives! Thanks Samantha! Of course I remember you. Thanks for the kind words. I am so excited for your mission. You will have to let me know where you are going. How exciting! Thanks John, it is good to hear from you! I hope that things are going well for you! Go Lakers!